What makes you … you? Do you ever wonder—or agonize over—how you became the person you are at this moment? Some of us go through life without ever delving into their psyche. They just are. Others question every move they make. Why do we do that? No one truly knows. Life is full of mysteries, and by March when we’re beginning to get cabin fever from winter’s hibernation, our minds wander even if our bodies can’t. 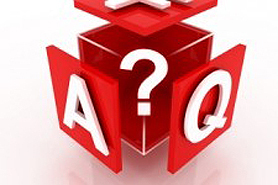 We can ask all the questions we want, and even come up with answers … at least some type of justification … but there are no right and wrong suppositions to define the mysteries of life. 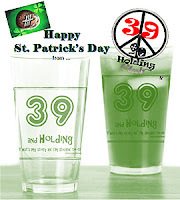 SO—let’s skip the philosophical and get right into March 39ers’ party-hearty parties! Slowly march into your exercises this month (if you’ve been lax this winter), to softly stretch your muscles after the long winter’s nap. I’ve heard accolades of how Tai Chi is physically and mentally beneficial, plus gentle on your body, though I have not yet given it a try. How about you? Perhaps it’s time. Tai Chi is not too strenuous and oddly calming, I understand. Even the venerable Mayo Clinic suggests, “Often described as meditation in motion, tai chi promotes serenity through gentle, flowing movements.” Time to limber up! March 3rd: a napkin signed by Elvis Presley from the Rivera Hotel in Las Vegas fetched around $656 (₤500). Wonder if it was “used”? Not into Elvis? Then you must be a Beatles fan! Four U.S. dollar bills – one each signed by a Beatle, actually went for less (collectively) at approximately $288 (£220). Bet they’d be worth way more than Elvis today! 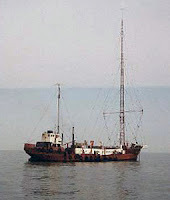 Enjoy Radio Caroline Flashbacks online, for your fave music of the 1960s and ‘70s! 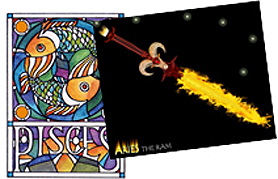 Pensive Pisces (Feb 19-Mar 20) and airy Aries 39ers (Mar 21-Apr 19) march grandly through the month, step-dancing to their own drumbeat. much you can do. Empathize or sympathize, whichever is your strength, then take care of yourself. While we appreciate Pisces’ help, let’s applaud the valiant and audacious Aries—always ready to grab the bull by the horns. With success the likely outcome, we can forgive their extremes and enjoy their energy. If you think old and act old, you will be old. Strive for the opposite. Be forever young in heart and mind, and you will be Forever Young. This one’s for you, kids – Happy UN-Birthday MARCH 39ers: Steven, Pat (RIP), Susan, Jim! Are you a 39er this month? Feel free to share your UN-birthday comments below (click on Comments or if it says No Comments, click that to be the first) and tell us how you really feel about your age and aging. Keep the stories coming! LinDee Rochelle is a writer and editor by trade, and an author by way of Rock & Roll. She has published two books (of three) in her Blast from Your Past series, available on Amazon (eBook and print): Book 1 – Rock & Roll Radio DJs: The First Five Years 1954-1959; and Book 2 – Rock & Roll Radio DJs: The Swinging Sixties. Coming soon … The Psychedelic Seventies! 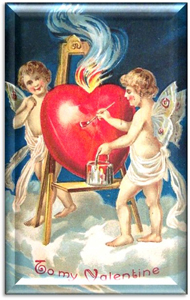 Long before healthy living became a “thing” St. Valentine’s Day meant loading up on chocolate, schoolyard declarations of puppy love, and handmade Valentines. For adults, it’s the optimum day to propose with a gi-normous diamond ring … and loads of chocolate. 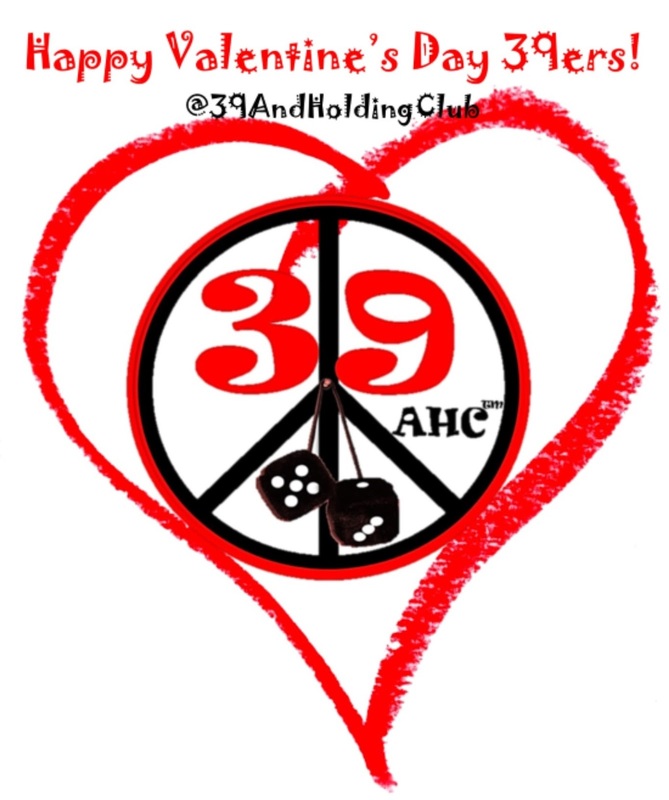 February 13th: Were you holding hands with your squeeze at the 1980 Winter Olympics? The frosty XIII Winter Olympics was Lake Placid, New York’s second hosting opportunity. Popular for winter sports, it was apt that the Olympics’ mascot that year came in the form of adorable “Roni” raccoon, because the furry mammal’s encircled eyes are reminiscent of winter sports goggles. Oooooo-K.
their Rock & Roll roots. 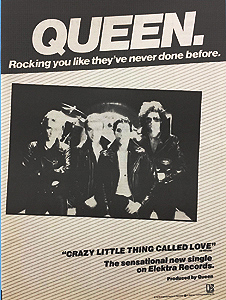 “Crazy Little Thing Called Love” rose to the top of radio charts February 1980. Are you a February 39er? The color gods paint you (and your hair) in a kaleidoscope of hues—early Feb quirky but caring Aquarian Water-bearers (Jan 20-Feb 18) can re-style the palette of your moods with turquoise green, or deep purple. Or not so radically, a “normal” bright blue adds a refreshing hue to your wardrobe and/or hair accessories when paired with Pantone’s “Living Coral” for the New Year. If you’re walking through the sands of time with Pisces (Feb 19-Mar 20) pals, all shades of green keep you cool with them. Dreamy, sensitive, and intuitively spiritual, Pisces identifies with the month of love for a reason. Their compassion and empathy make everyone around them feel loved. Only in the pages of my books can I pretend to be young again. LR note: Problem is, I write non-fiction … sigh. This one’s for you, kids – Happy UN-Birthday February 39ers: Sharon, Rochelle & David!